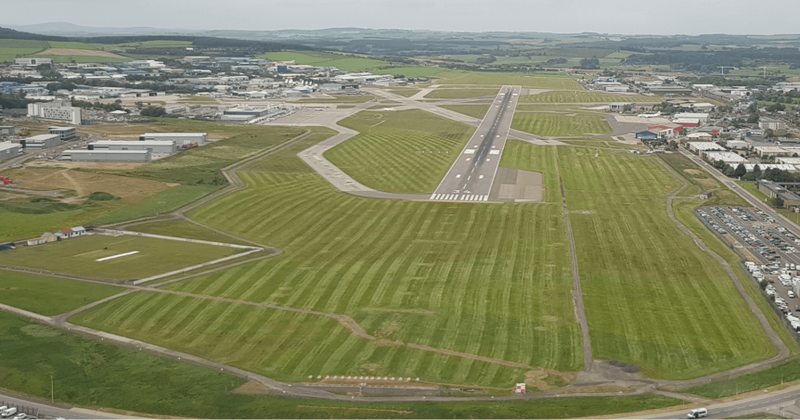 We are delighted to have been awarded the contract for the grounds maintenance services at Aberdeen International Airport. The contract is for the grass and habitat management of all Airside and Landside areas, plus the gritting and snow clearing of all Landside areas. Following being selected as the only locally based and managed contractor to be offered the opportunity to tender for the contract, we entered into a multi level process with the purchasing and operation teams at the Airport. They were impressed with our local bias, established management structure and ability to deliver all the required services directly without using any sub contractors. This was a unique combination of attributes and, together with our demonstrable capabilities and proven successful delivery of other other large scale contracts, we were chosen as the preferred contractor. 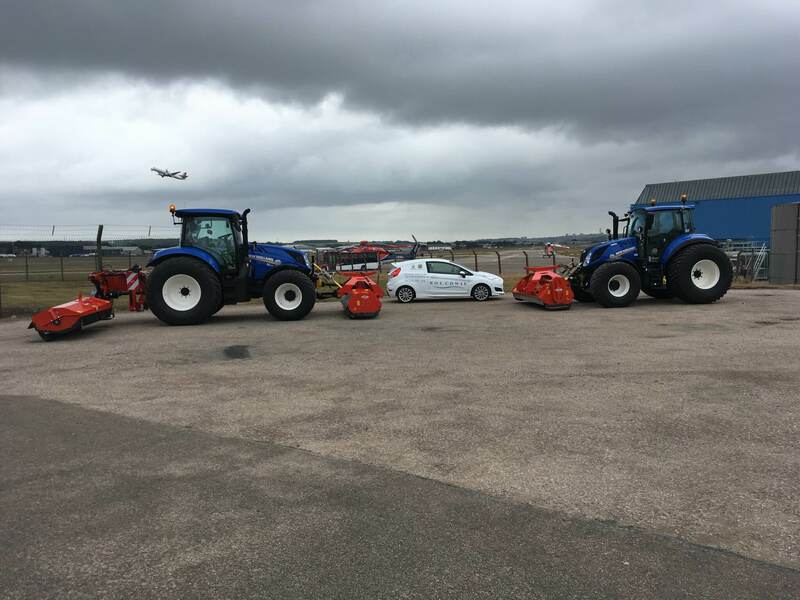 Always keen to introduce innovative practices, we have introduced high horsepower low weight tractors with flotation tyres for use in all airside grass management operations. The Flotation tyres ensure minimum disturbance is caused to the ground when carrying out operations. Front and side mounted cutting equipment with rollers was chosen to carry out grass cutting operations. As well as ensuring no grass is touched by tyres prior to cutting, the equipment has also seen us achieve our objective of achieving a uniform striped appearance to the grass areas. After all, everybody likes nice stripey grass!! Continuing our long and succesful relationship with https://www.ravenhill.co.uk we have added our 8th and 9th New Holland tractors to our existing fleet. 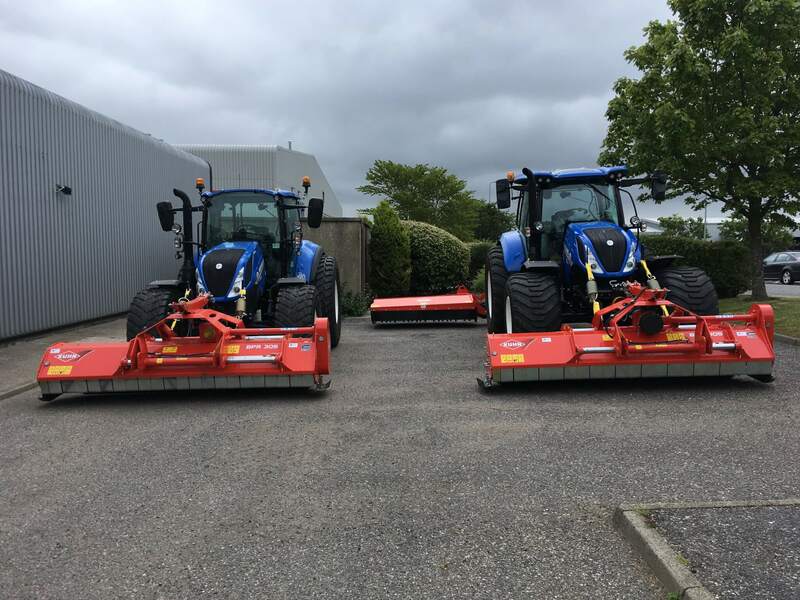 Both machines are fitted with http://www.kuhn.co.uk cutting equipment which has been specially adapted to cut the grass areas to the specification required for the airfield.